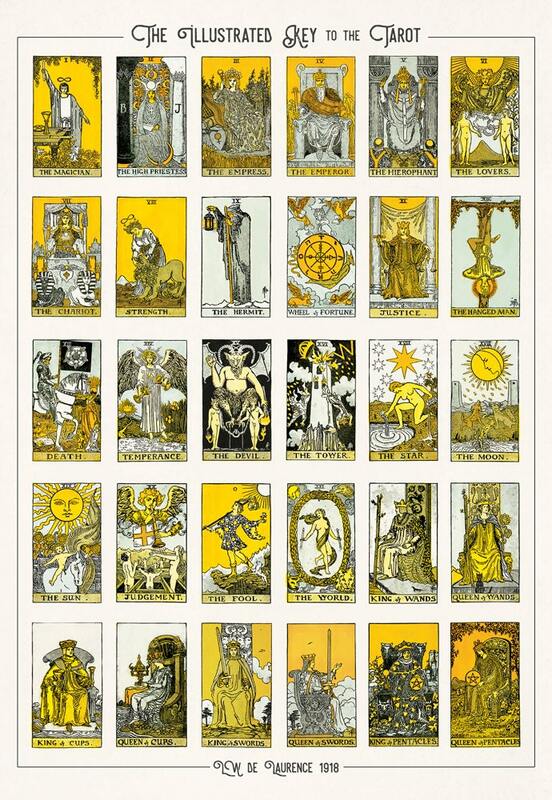 Vintage Tarot Card Diagram Reproduction Poster. 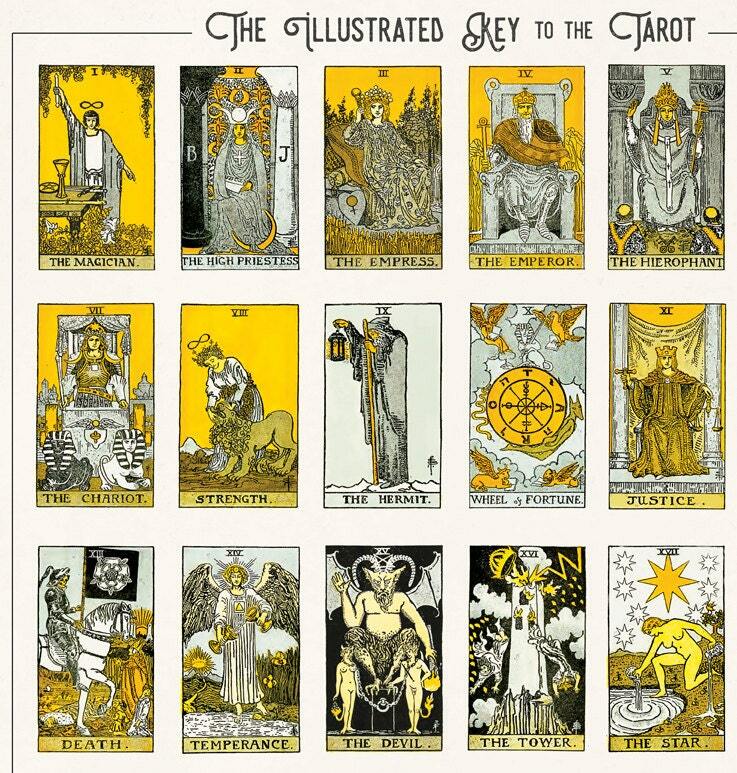 This print comes from a salvaged version of The Illustrated Key to the Tarot by LW de Laurence (published in 1918). The pages have been scanned in, cropped, and retouched to ensure the highest quality reproduction possible. 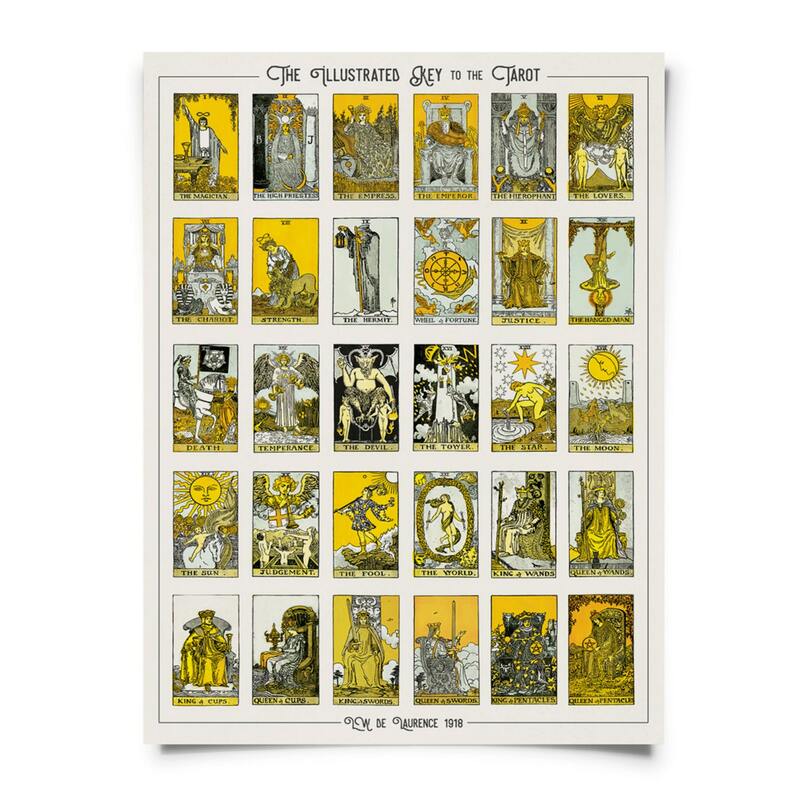 This print is digitally printed on 100% cotton rag hot press paper for long-term durability. Both paper and ink are acid-free and archival.